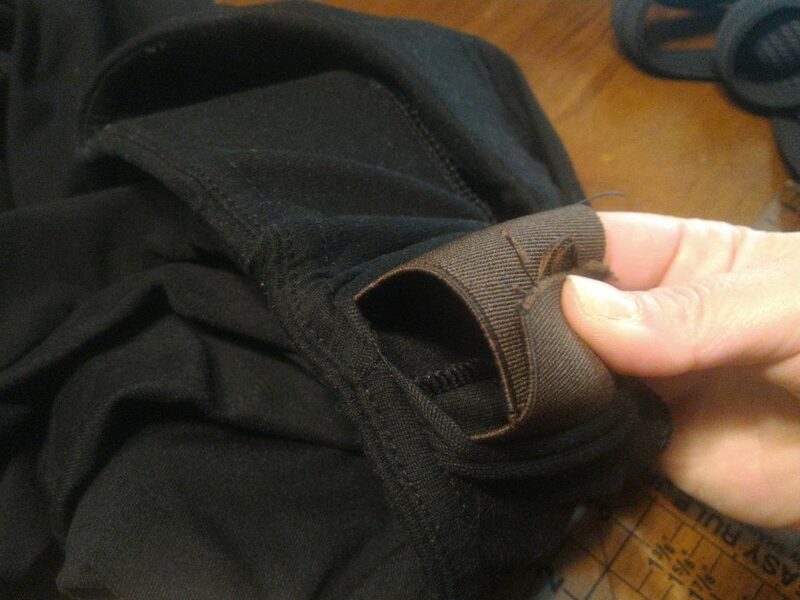 I spoke with three friends about their expectations for these pants, how they thought they would use them, and if the product met their needs. They range from former firearms instructor to competition shooter, to lawyer and mother. Each was hopeful that they could use these pants for carrying while exercising or running errands. 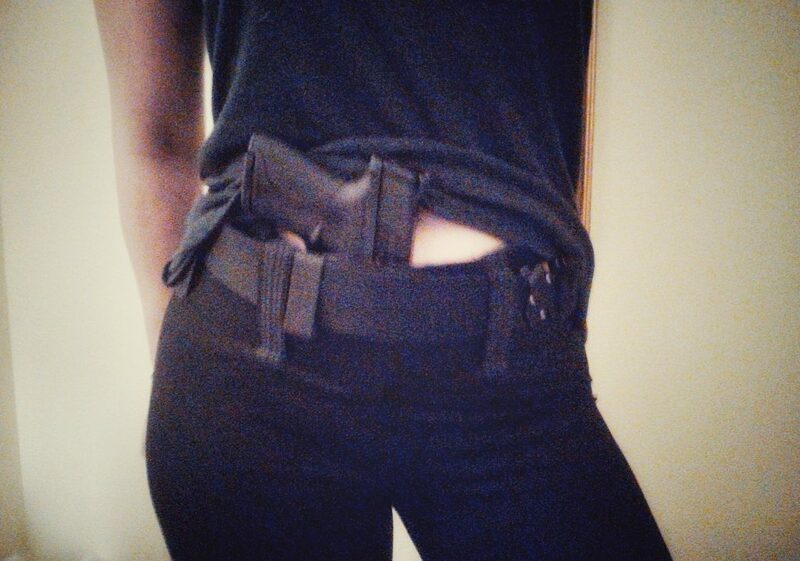 All three liked having the pants as an option for concealed carry, but they had similar experiences with the fit and finish. All three described the fit as “weird.” The spandex was too tight and did not move with the wearer as is typical of a yoga pant. Two of the three made returns for different sizes. The length was off. Capri length is shorter than a typical yoga tight capri, but the long style is too long. The stitching at the seams pills and the threads stick up. They all agreed that overall fit is unattractive and not very comfortable. 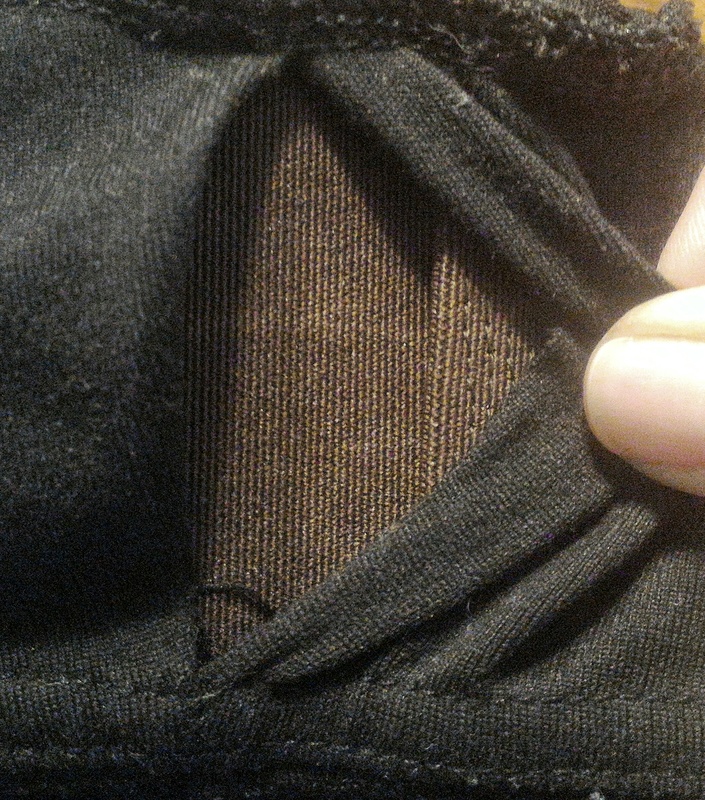 They all missed the discreet pocket that is standard on most yoga tights. Yoga pants are beloved because of THE FIT. Why should we give that up? 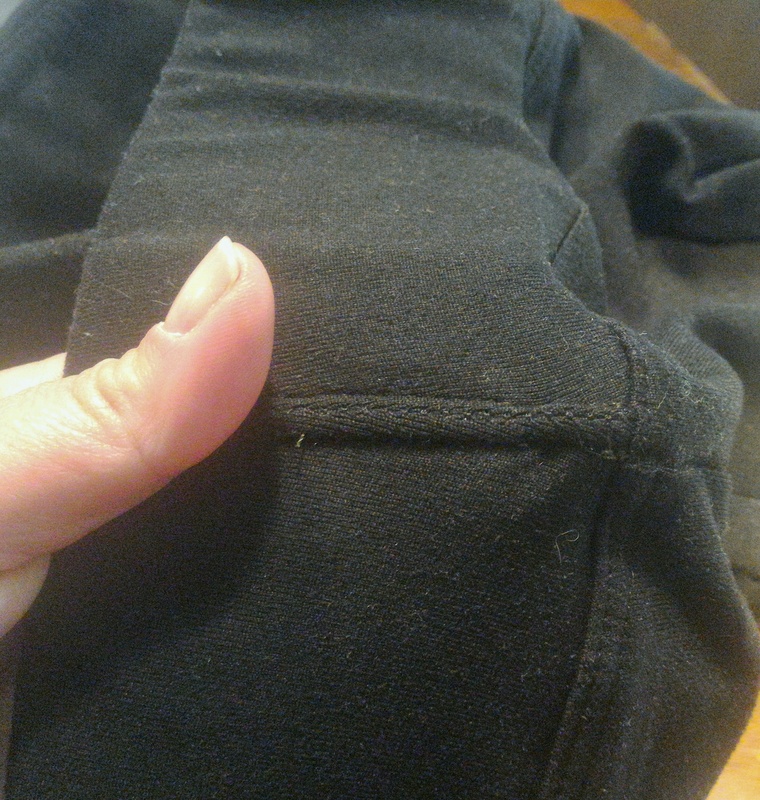 Then I realized that you can find the yoga pants that fit you the best, at a price that you find reasonable, and make some range-ready yoga pants yourself. All you need is about $4.00 and a trip to the fabric store. 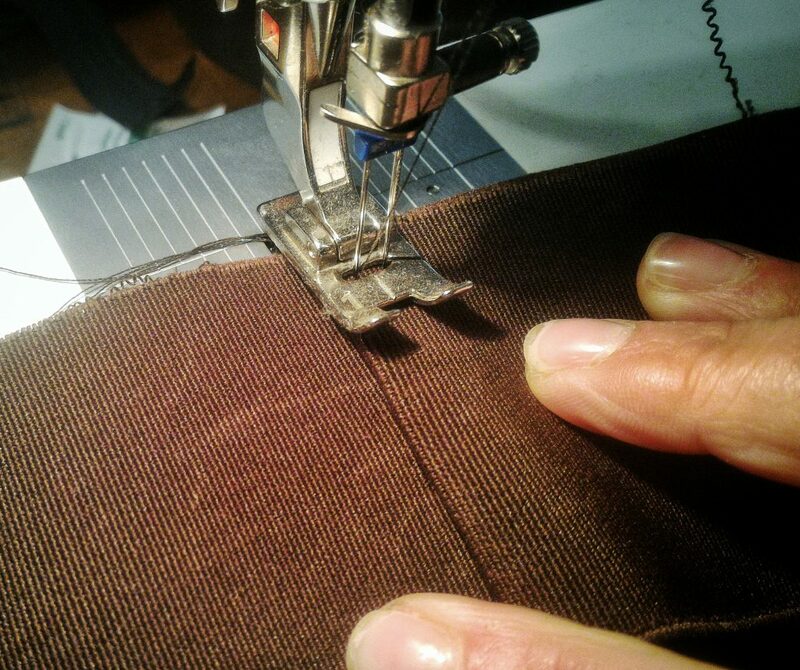 Sewing on fabric with stretch is easily done with a regular sewing machine if you use a twin needle. 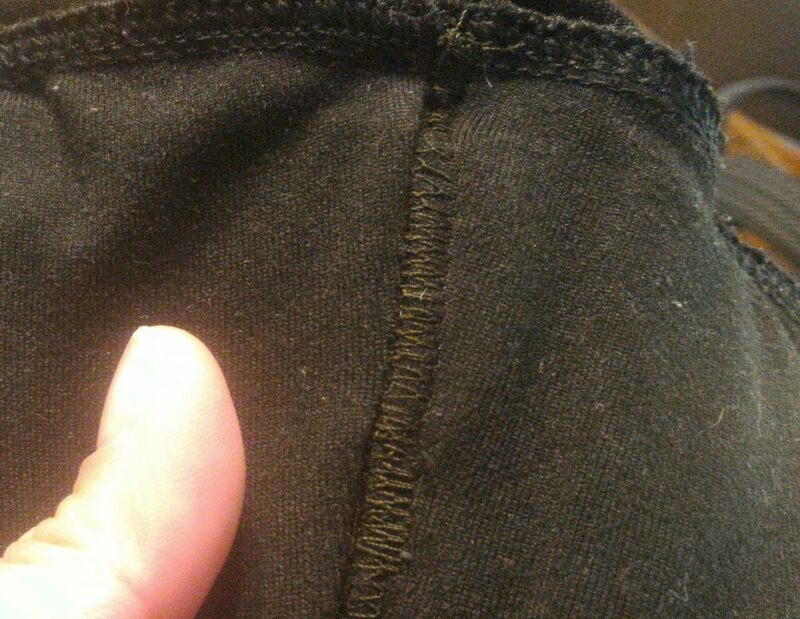 The twin needle will give your stitches the elasticity they need to move with the stretch of the fabric. Make sure the needle you purchase is marked “stretch” or “ball point”. 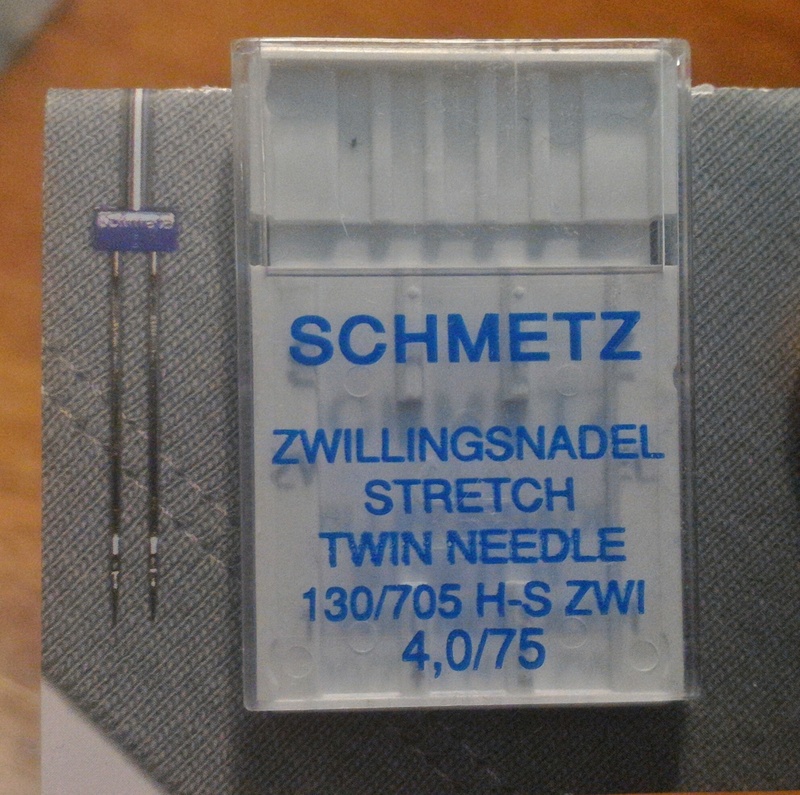 This type of needle is made to go through elastic without difficulty or damage. 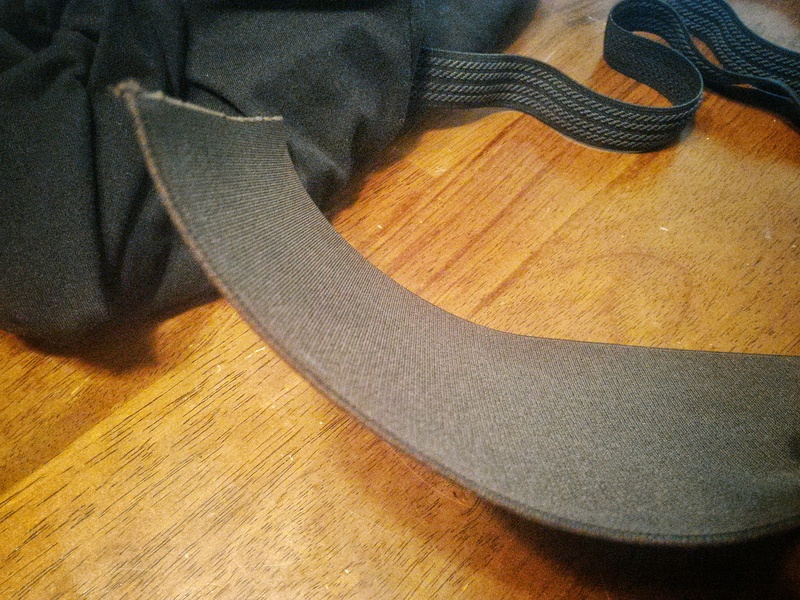 I purchased this rigid elastic for the waistband. Measure your waist. I made my first attempt too tight, I advise leaving it a bit longer than you think you need. It is much easier to take it in later than it is to start all over again. 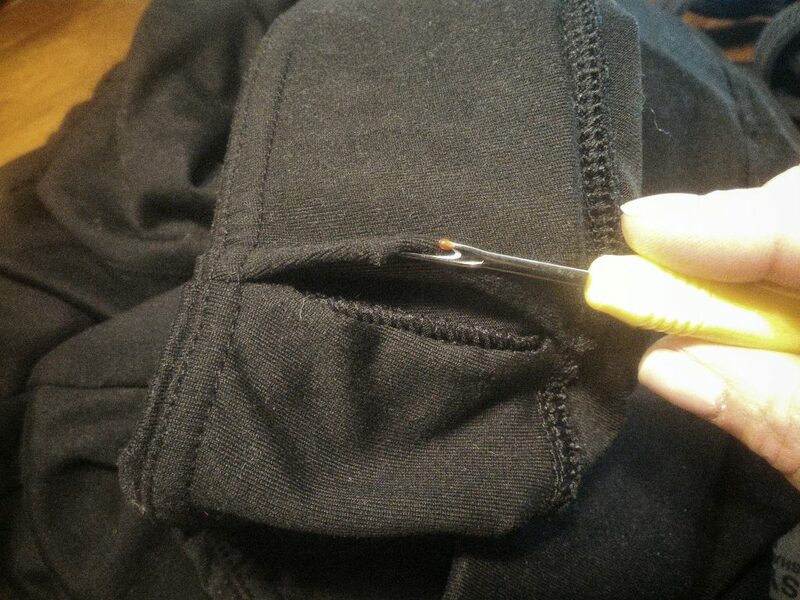 Use a seam ripper to open an interior seam in the waist of your pants. 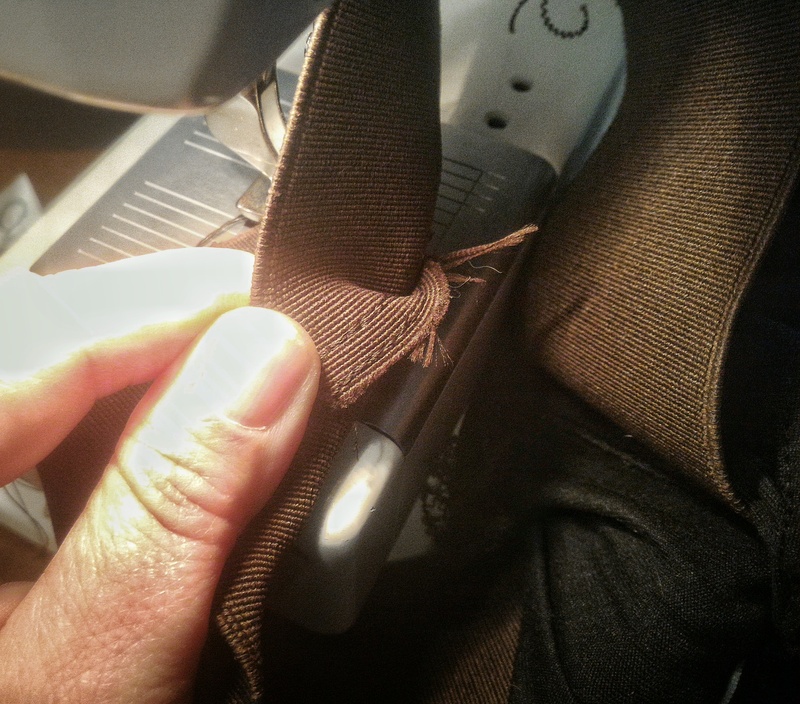 Sew the ends together – I wanted the seam to be strong and flat so I made a french seam. Try them on to test the fit. 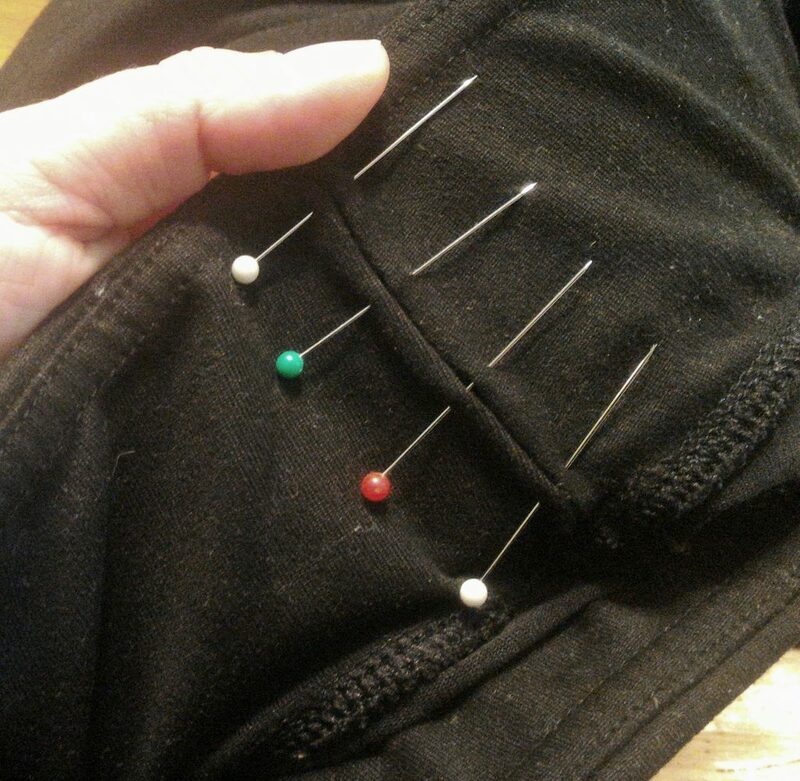 Pin together and sew the hole closed. 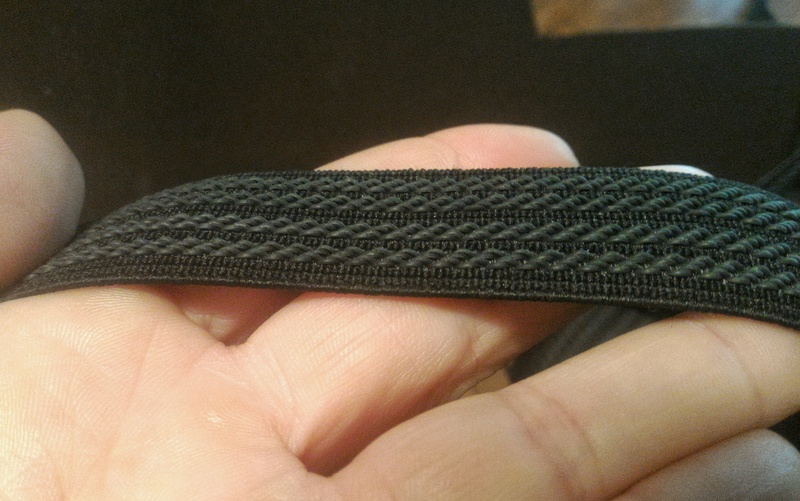 Stitches from a twin needle look like a dense zig-zag on the wrong side, and a neat double row of top-stitching on the other. 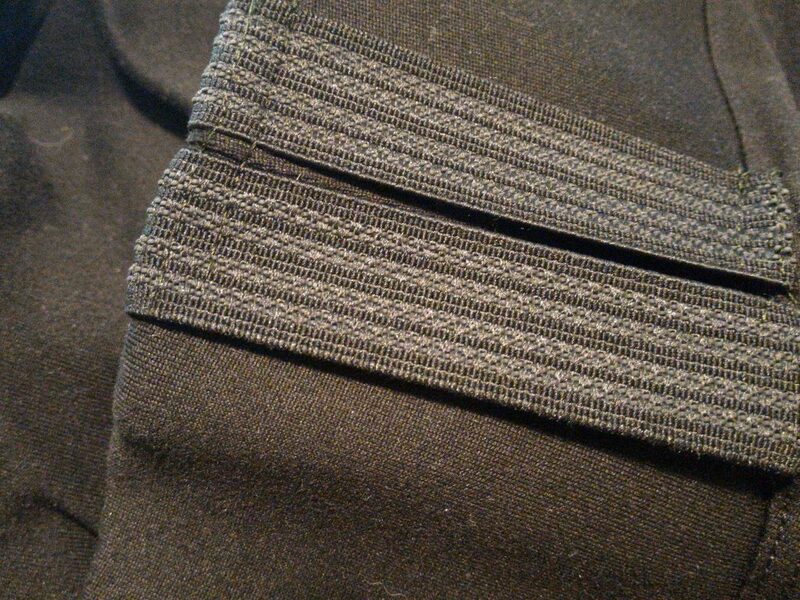 I flipped the fabric so that the outside of the seam showed the double stitches and kept the zig-zag for the unseen inside. 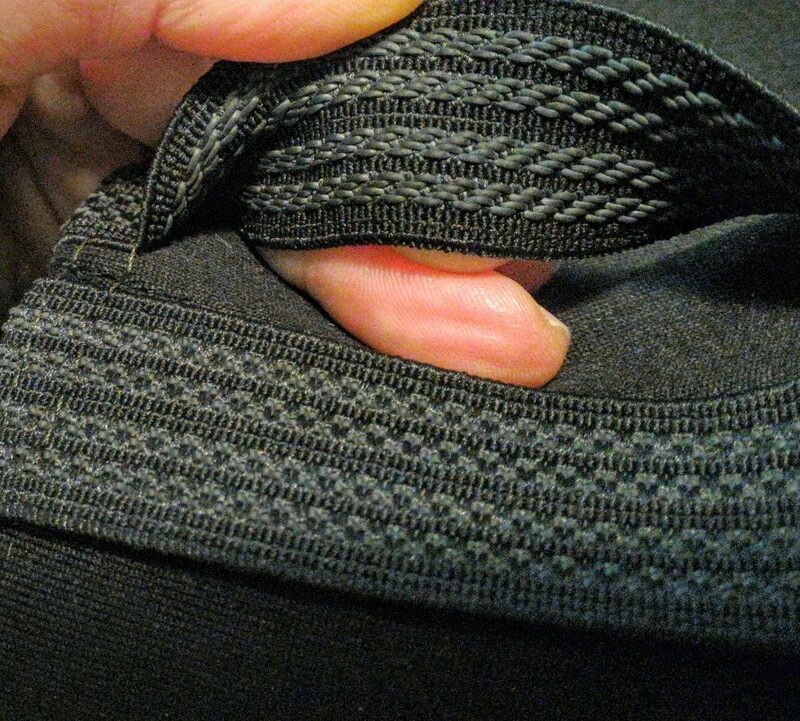 Position your belt loops – I found it helpful to put the pants and belt on to get a sense of where the belt loops would be best. 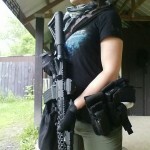 2 Comments on "That’s What She Said: DIY Tactical Yoga Pants"
That’s awesome!! Damn good job! Thank you! I hope this little trick helps women get creative with their concealed carry options.